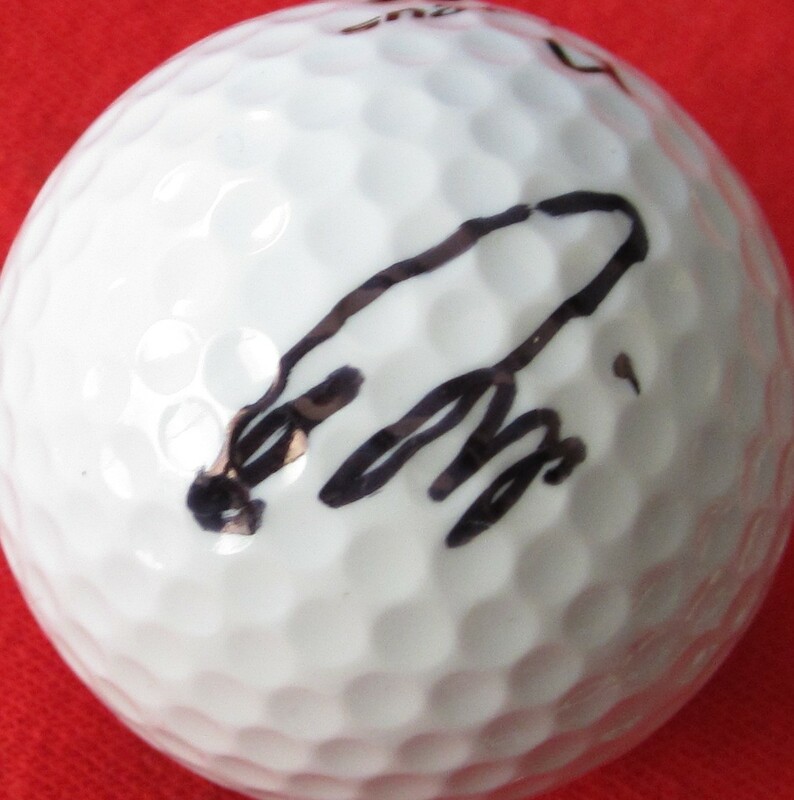 Golf ball autographed in black marker by Japanese superstar golfer Ryo Ishikawa. Obtained in person. With certificate of authenticity from AutographsForSale.com.